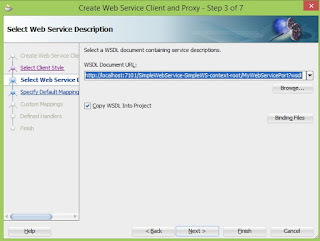 Sometime we need to change the Web Service WSDL URL dynamically at runtime when we call web service. 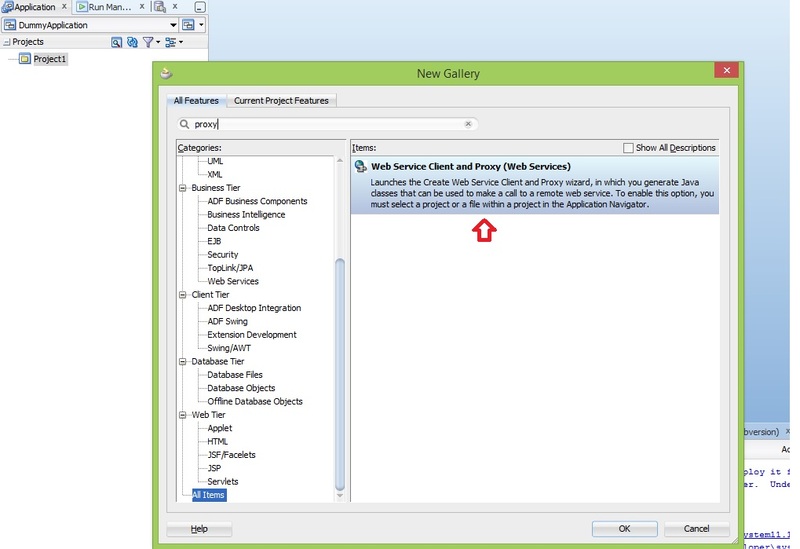 The Web Service may deployed in different environments and you want depending on some conditions you will decide which version you should call. 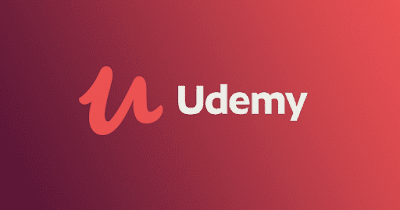 In this example I will show you how to call SOAP Web Service progrmatically with dynamic wsdl url. 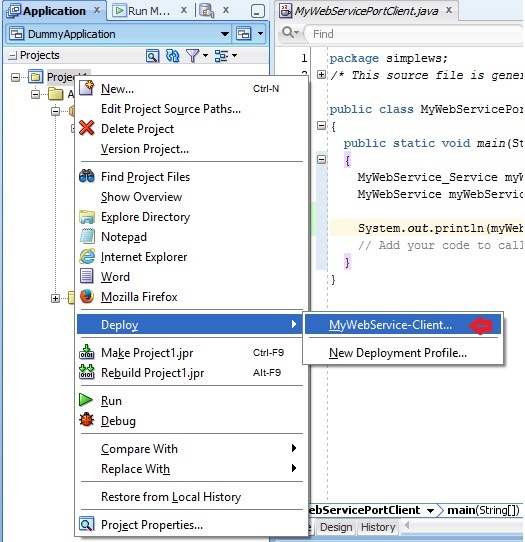 I used JDev 11.1.2.4.0 for developing this complete example. 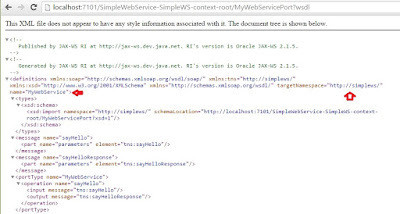 I will create a simple web service has one function call "sayHello" this function will receive String and will return "Hello " + String. 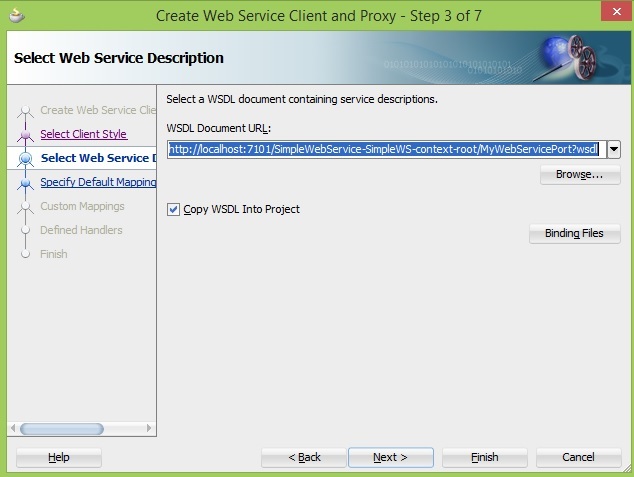 - Now we finished creating Web Service and deployed it in 2 different environments with 2 different wsdl url. 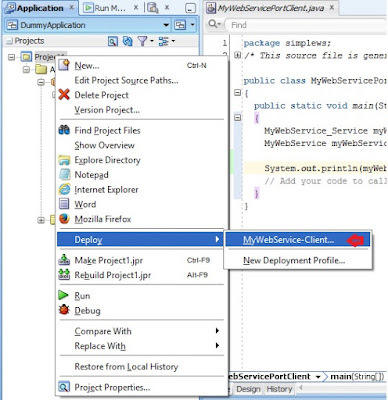 To call this web service in other applications like ADF application or Java Application you should create jar file and use this jar file on this application. - Create new custom application "e.g. 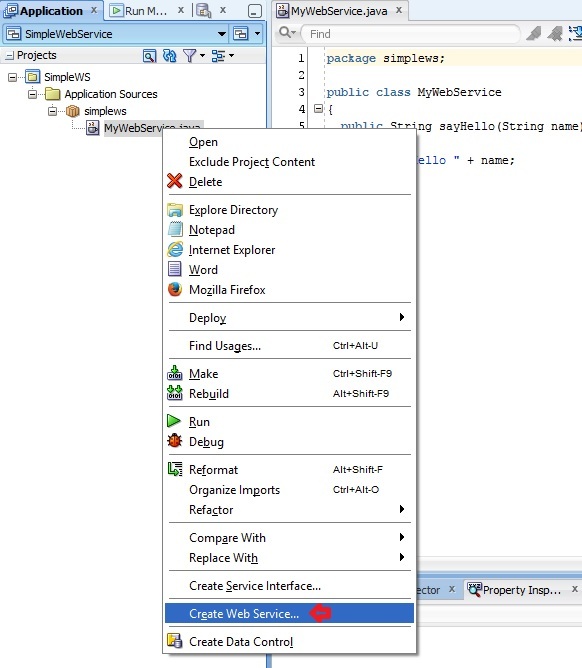 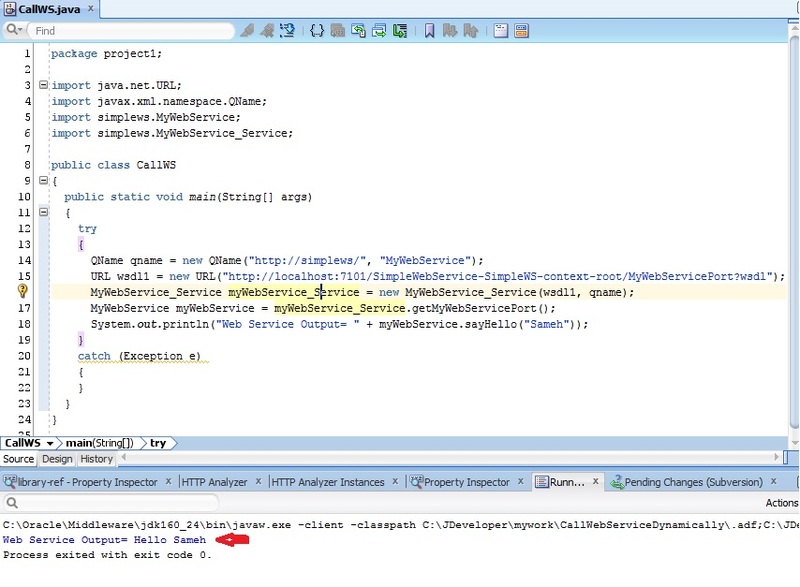 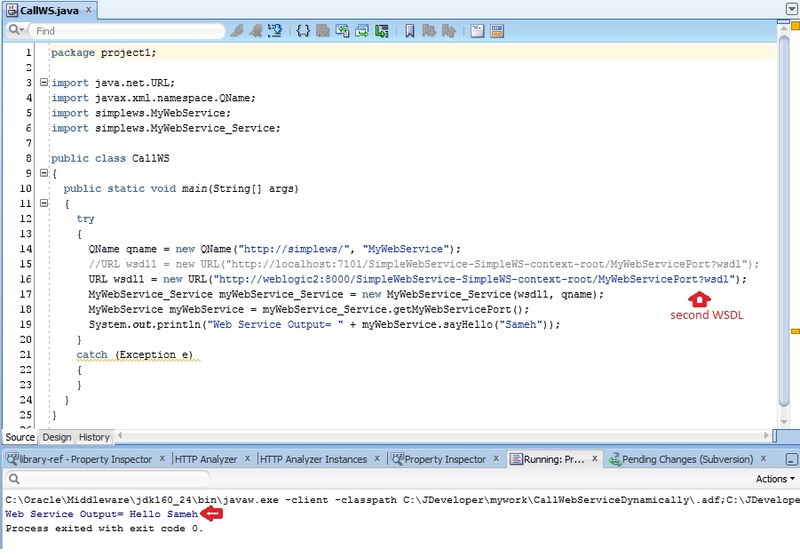 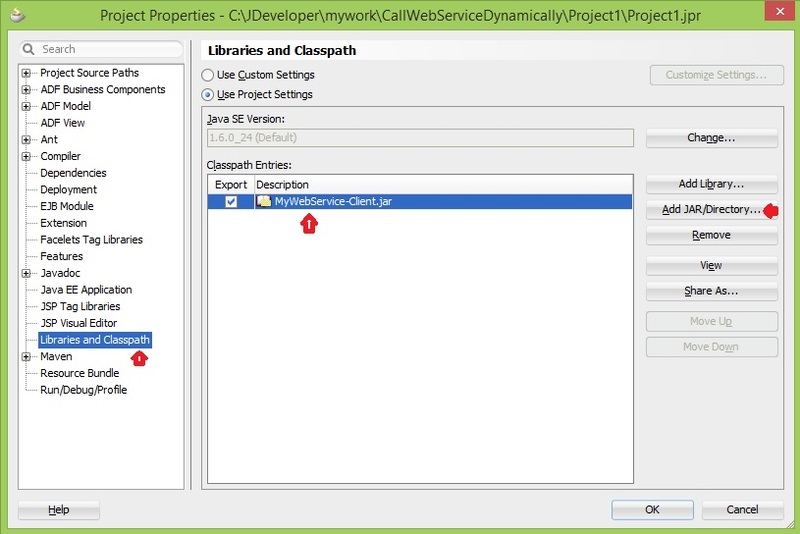 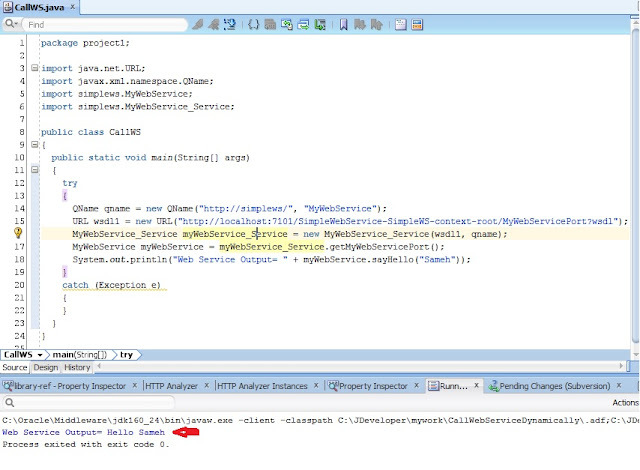 CallWebServiceDynamically" with java class "e.g. 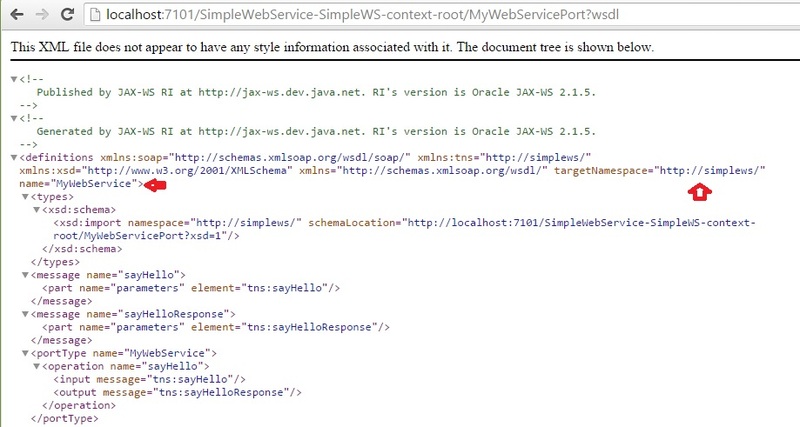 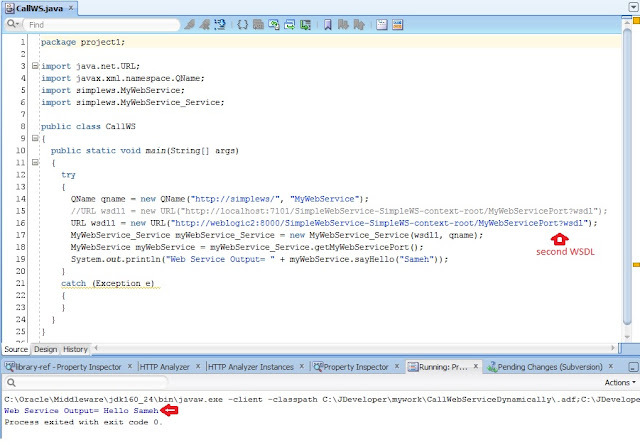 CallWS.java"
This is line for testing the Web Service and print the output on the log.